The Hillstone CloudEdge Virtual NGFW Essential Edition provides essential NGFW features to AliCloud users in order to protect their cloud-based applications and resources. It provides both user and application identification; Intrusion Prevention (IPS); ,Quality of Service (QoS); Virtual Private Networks (VPN) and server load balancing capabilities, to address different customer security requirements and deployment scenarios. CloudEdge shares the base technology as the Hillstone Next-Generation Firewall (NGFW), and provides the same robust set of security features offered for physical environments. ·Offers Granular Application Control: CloudEdge provides fine-grained control of web applications regardless of port, protocol, or evasive action. It can identify and prevent potential threats associated with high-risk applications while providing policy-based control over applications, users, and user-groups. ·Enables Access Control for VPCs: Virtual Private Clouds provide logical security perimeters to protect virtual data centers. CloudEdge is deployed at the VPC entry to provide independent management, control and protection for each tenant. ·Secures Data Transmission via VPN: The CloudEdge VPN feature protects data transmission between VPCs or VPCs to their associated enterprise networks. ·Allows for Easy Deployment and Management: CloudEdge can be easily modified or instantiated from templates to address the highly dynamic change operations of virtual machines and virtual environments. Fully integrated with CMPs, administrators can launch, stop and configure firewall policies from the CMP itself; administrators can also configure CloudEdge directly via SecureShell (SSH). ·Provides Multi-tenant Support: Tenant-specific configurations and security policies are supported for maximum control and protection. -Application identification, IPS and QoS. 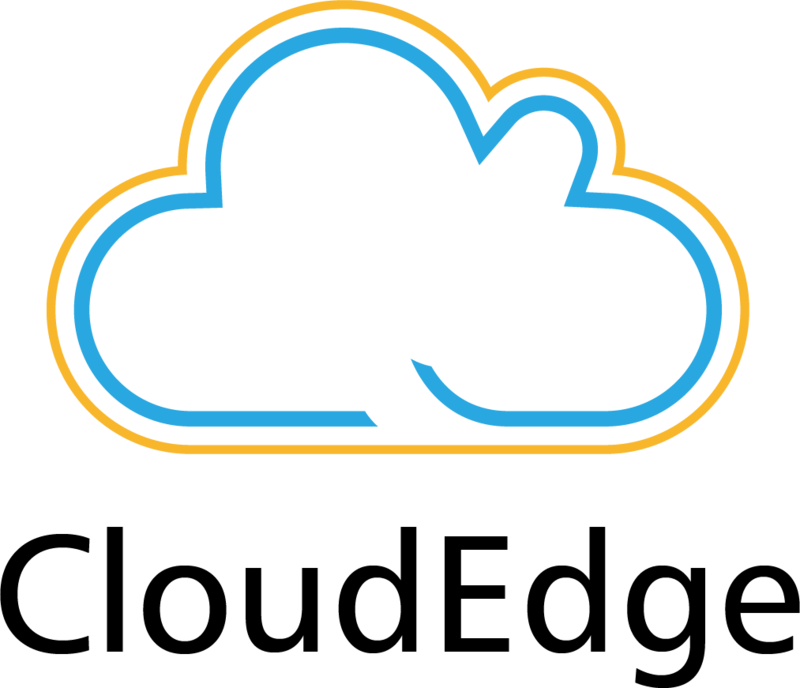 CloudEdge can be deployed as a VPC security gateway; as a secure VPN appliance between the office site and the cloud; or as server load balancing between different cloud or server resources. For more advanced features and high performance models, the HIllstone CloudEdge Standard/Adcanced Edition will be listed soon. You can depend on Hillstone Networks’ remote support services for expert, timely technical resources to help you maintain network security and protect your business 24x7x365. In addition to real-time online support, you may access our experienced, certified engineers through toll-free hotlines. This End User License Agreement (“EULA”) constitutes the terms and conditions on which Hillstone Networks Inc. or its Affiliates, (“Hillstone“) provides the software licenses, hardware, application-hosting, warranty coverage and other services purchased by an end-user or other entity (Collectively, the “Customer”) directly from Hillstone or through Hillstone’s authorized distributor or reseller. Your rights and Hillstone’s obligations hereunder are conditioned upon Hillstone’s receipt of all applicable license fees, subscription fees, and other payments due in connection with your license and/or purchase. IMPORTANT- PLEASE READ THIS END USER LICENSE AGREEMENT CAREFULLY. IF YOU ARE NOT REGISTERED AS THE END USER YOU HAVE NO LICENSE TO USE THE SOFTWARE AND THE LIMITED WARRANTY IN THIS END USER LICENSE AGREEMENT DOES NOT APPLY. ASSUMING YOU HAVE PURCHASED FROM AN APPROVED SOURCE, DOWNLOADING, INSTALLING OR USING HILLSTONE OR HILLSTONE-SUPPLIED SOFTWARE CONSTITUTES ACCEPTANCE OF THIS AGREEMENT. HILLSTONE IS WILLING TO LICENSE THIS SOFTWARE TO YOU ONLY UPON THE CONDITION THAT YOU PURCHASED THE SOFTWARE FROM AN APPROVED SOURCE AND THAT YOU ACCEPT ALL OF THE TERMS CONTAINED IN THIS END USER LICENSE AGREEMENT PLUS ANY ADDITIONAL LIMITATIONS ON THE LICENSE SET FORTH IN A SUPPLEMENTAL LICENSE AGREEMENT ACCOMPANYING THE PRODUCT, MADE AVAILABLE AT THE TIME OF YOUR ORDER, OR POSTED ON THE HILLSTONE WEBSITE AT www.hillstonenet.com (COLLECTIVELY THE "AGREEMENT"). BY DOWNLOADING, INSTALLING, OR USING THE SOFTWARE, YOU ARE REPRESENTING THAT YOU PURCHASED THE SOFTWARE FROM AN APPROVED SOURCE AND BINDING YOURSELF TO THE AGREEMENT. IF YOU DO NOT AGREE TO ALL OF THE TERMS OF THE AGREEMENT, THEN HILLSTONE IS UNWILLING TO LICENSE THE SOFTWARE TO YOU AND (A) YOU MAY NOT DOWNLOAD, INSTALL OR USE THE SOFTWARE, AND (B) YOU MAY RETURN THE SOFTWARE (INCLUDING ANY UNOPENED CD PACKAGE AND ANY WRITTEN MATERIALS) FOR A FULL REFUND, OR, IF THE SOFTWARE AND WRITTEN MATERIALS ARE SUPPLIED AS PART OF ANOTHER PRODUCT, YOU MAY RETURN THE ENTIRE PRODUCT FOR A FULL REFUND. YOUR RIGHT TO RETURN AND REFUND EXPIRES 30 DAYS AFTER PURCHASE FROM AN APPROVED SOURCE, AND APPLIES ONLY IF YOU ARE THE ORIGINAL AND REGISTERED END USER PURCHASER. FOR THE PURPOSES OF THIS END USER LICENSE AGREEMENT, AN "APPROVED SOURCE" MEANS (A) HILLSTONE; OR (B) A DISTRIBUTOR AUTHORIZED BY HILLSTONE TO DISTRIBUTE / SELL HILLSTONE EQUIPMENT, SOFTWARE AND SERVICES WITHIN YOUR TERRITORY TO END USERS; OR (C) A RESELLER AUTHORIZED BY ANY SUCH DISTRIBUTOR IN ACCORDANCE WITH THE TERMS OF THE DISTRIBUTOR'S AGREEMENT WITH HILLSTONE TO DISTRIBUTE / SELL THE HILLSTONE EQUIPMENT, SOFTWARE AND SERVICES WITHIN YOUR TERRITORY TO END USERS. THE FOLLOWING TERMS OF THE AGREEMENT GOVERN CUSTOMER'S USE OF THE SOFTWARE (DEFINED BELOW), EXCEPT TO THE EXTENT: (A) THERE IS A SEPARATE SIGNED CONTRACT BETWEEN CUSTOMER AND HILLSTONE GOVERNING CUSTOMER'S USE OF THE SOFTWARE, OR (B) THE SOFTWARE INCLUDES A SEPARATE "CLICK-ACCEPT" LICENSE AGREEMENT OR THIRD PARTY LICENSE AGREEMENT AS PART OF THE INSTALLATION OR DOWNLOAD PROCESS GOVERNING CUSTOMER'S USE OF THE SOFTWARE. TO THE EXTENT OF A CONFLICT BETWEEN THE PROVISIONS OF THE FOREGOING DOCUMENTS, THE ORDER OF PRECEDENCE SHALL BE (1)THE SIGNED CONTRACT, (2) THE CLICK-ACCEPT AGREEMENT OR THIRD PARTY LICENSE AGREEMENT, AND (3) THE AGREEMENT. FOR PURPOSES OF THE AGREEMENT, "SOFTWARE" SHALL MEAN COMPUTER PROGRAMS, INCLUDING FIRMWARE AND COMPUTER PROGRAMS EMBEDDED IN HILLSTONE EQUIPMENT, AS PROVIDED TO CUSTOMER BY AN APPROVED SOURCE, AND ANY UPGRADES, UPDATES, BUG FIXES OR MODIFIED VERSIONS THERETO (COLLECTIVELY, "UPGRADES"), ANY OF THE SAME WHICH HAS BEEN RELICENSED UNDER THE HILLSTONE SOFTWARE TRANSFER AND RE-LICENSING POLICY (AS MAY BE AMENDED BY HILLSTONE FROM TIME TO TIME) OR BACKUP COPIES OF ANY OF THE FOREGOING. Conditioned upon compliance with the terms and conditions of the Agreement, Hillstone grants to Customer a nonexclusive, non-sub-licensable and nontransferable license to use for Customer's internal business purposes the Software and the Documentation for which Customer has paid the required license fees to an Approved Source. "Documentation" means written information (whether contained in user or technical manuals, training materials, specifications or otherwise) pertaining to the Software and made available by an Approved Source with the Software in any manner (including on CD-Rom, or on-line). Customer's license to use the Software shall be limited to, and Customer shall not use the Software in excess of, a single hardware chassis or card or such other limitations as are set forth in the applicable purchase order which has been accepted by an Approved Source and for which Customer has paid to an Approved Source the required license fee (the "Purchase Order"). Unless otherwise expressly provided in the Documentation or any applicable Supplemental License Agreement, Customer shall use the Software solely as embedded in, for execution on, or (where the applicable Documentation permits installation on non-Hillstone equipment) for communication with Hillstone equipment owned or leased by Customer and used for Customer's internal business purposes. No other licenses are granted by implication, estoppel or otherwise. For evaluation or beta copies for which if Hillstone does not charge a license fee, the above requirement to pay license fees does not apply. This is a license, not a transfer of title, to the Software and Documentation, and Hillstone retains ownership of all copies of the Software and Documentation. Customer acknowledges that the Software and Documentation contain trade secrets of Hillstone or its suppliers or licensors, including but not limited to the specific internal design and structure of individual programs and associated interface information. Hillstone retains all of its rights to its trademarks, logos, trade names, and service marks, website(s), technologies, patents, copyrights, trade secrets, know-how, and other intellectual property and proprietary rights. Except as otherwise expressly provided under the Agreement, Customer shall only use the Software in connection with the use of Hillstone equipment purchased by the Customer from an Approved Source and Customer shall have no right, and Customer specifically agrees not to: (i) use any reverse compilation, reverse engineering, decompilation or disassembly techniques or similar methods to determine any design structure, concepts and construction method of the Software or replicate the functionality of the Software or the Hardware for any purpose; (ii) remove, modify, or obscure any Hillstone or other copyright, trademark, and other proprietary notices affixed to or displayed on or in the Software or the Hardware, and shall not allow any third party to take any such action; (iii) transfer, distribute, sublicense, rent, lease, modify, translate, make any attempt to create derivative works from, and/or assign or otherwise make available the Software or any portion thereof or Hardware to a third party; (iv) transfer the Software from the Hardware through a network or other data transmission channels to another hardware appliance or computer;(v) use the Software in connection with more Seats or Users than the number of Seats or Users approved in the Quotation or otherwise use the Software or Hardware in any manner contrary to any restrictions set forth in the Quotation; (vi) use the Software for purposes of performance comparison to other competitive offerings for the purpose of publishing or otherwise making available the results to a third party;(vii) make any copies or duplicates of any Software without the prior written permission of Hillstone. To the extent required by applicable law, and at Customer's written request, Hillstone shall provide Customer with the interface information needed to achieve interoperability between the Software and another independently created program, on payment of Hillstone's applicable fee, if any. Customer shall observe strict obligations of confidentiality with respect to such information and shall use such information in compliance with any applicable terms and conditions upon which Hillstone makes such information available. 3. SOFTWARE, UPGRADES AND ADDITIONAL COPIES. NOTWITHSTANDING ANY OTHER PROVISION OF THE AGREEMENT: (1) CUSTOMER HAS NO LICENSE OR RIGHT TO MAKE OR USE ANY ADDITIONAL COPIES OR UPGRADES UNLESS CUSTOMER, AT THE TIME OF MAKING OR ACQUIRING SUCH COPY OR UPGRADE, ALREADY HOLDS A VALID LICENSE TO THE ORIGINAL SOFTWARE AND HAS PAID THE APPLICABLE FEE TO AN APPROVED SOURCE FOR THE UPGRADE OR ADDITIONAL COPIES; (2) USE OF UPGRADES IS LIMITED TO HILLSTONE EQUIPMENT SUPPLIED BY AN APPROVED SOURCE FOR WHICH CUSTOMER IS THE ORIGINAL END USER PURCHASER OR LESSEE OR OTHERWISE HOLDS A VALID LICENSE TO USE THE SOFTWARE WHICH IS BEING UPGRADED; AND (3) THE MAKING AND USE OF ADDITIONAL COPIES IS LIMITED TO NECESSARY BACKUP PURPOSES ONLY. The Agreement and the license granted herein shall remain effective until terminated. Customer may terminate the Agreement and the license at any time by destroying all copies of Software and any Documentation. Customer's rights under the Agreement will terminate immediately without notice from Hillstone if Customer fails to comply with any provision of the Agreement. Upon termination, Customer shall destroy all copies of Software and Documentation in its possession or control. All confidentiality obligations of Customer, all restrictions and limitations imposed on the Customer under the section titled "LICENSE RESTRICTIONS" and all limitations of liability and disclaimers and restrictions of warranty shall survive termination of this Agreement. Customer grants to Hillstone and its independent accountants the right to examine Customer's books, records and accounts during Customer's normal business hours to verify compliance with this Agreement. In the event such audit discloses non-compliance with this Agreement, Customer shall promptly pay to Hillstone the appropriate license fees, plus the reasonable cost of conducting the audit. The Software, Documentation and technology or direct products thereof (hereafter referred to as Software and Technology), supplied by Hillstone under the Agreement are subject to export controls under the laws and regulations of the United States ("U.S.") and any other applicable countries' laws and regulations. Customer shall comply with such laws and regulations governing export, re-export, import, transfer and use of Hillstone Software and Technology and will obtain all required U.S. and local authorizations, permits, or licenses. Subject to the limitations and conditions set forth herein, Hillstone warrants that commencing from the date of shipment to Customer (but in case of resale by an Approved Source other than Hillstone, commencing not more than eighteen (18) months after original shipment by Hillstone), and continuing for a period of the longer of (a) twelve (12) months or (b) the warranty period (if any) expressly set forth as applicable specifically to software in the warranty card accompanying the product of which the Software is a part (the "Product") (if any): (a) the media on which the Software is furnished will be free of defects in materials and workmanship under normal use; and (b) the Software substantially conforms to the Documentation. The date of shipment of a Product by Hillstone is set forth on the packaging material in which the Product is shipped. Except for the foregoing, the Software is provided "AS IS". This limited warranty extends only to the Software purchased from an Approved Source by a Customer who is the first registered end user. Customer's sole and exclusive remedy and the entire liability of Hillstone and its suppliers under this limited warranty will be (i) replacement of defective media and/or (ii) at Hillstone's option, repair, replacement, or refund of the purchase price of the Software, in both cases subject to the condition that any error or defect constituting a breach of this limited warranty is reported to the Approved Source supplying the Software to Customer, within the warranty period. Hillstone or the Approved Source supplying the Software to Customer may, at its option, require return of the Software and/or Documentation as a condition to the remedy. In no event does Hillstone warrant that the Software is error free or that Customer will be able to operate the Software without problems or interruptions. In addition, due to the continual development of new techniques for intruding upon and attacking networks, Hillstone does not warrant that the Software or any equipment, system or network on which the Software is used will be free of vulnerability to intrusion or attack. Restrictions. This warranty does not apply if the Software, Product or any other equipment upon which the Software is authorized to be used (a) has been altered, except by Hillstone or its authorized representative, (b) has not been installed, operated, repaired, or maintained in accordance with instructions supplied by Hillstone, (c) has been subjected to abnormal physical or electrical stress, abnormal environmental conditions, misuse, negligence, or accident; or (d) is licensed for beta, evaluation, testing or demonstration purposes. The Software warranty also does not apply to (e) any temporary Software modules; (f) any Software not posted on Hillstone's Software Center; (g) any Software that Hillstone expressly provides on an "AS IS" basis on Hillstone's Software Center; (h) any Software for which an Approved Source does not receive a license fee; and (i) Software supplied by any third party which is not an Approved Source. When the user activates and uses some feature of this product, based on the feature requirements, some user data may be uploaded to the cloud, and used for internal analysis to decrease user device errors and provide better protection. In this situation, the user is notified about the relationship between data upload/data usage and related feature enhancements. When the user activates these types of features, associated pop-ups will appear in the system, providing the user the option to authorize or deny the upload. Once the user authorizes the upload and use of this data, the user will obtain usage permission for the feature, as well as better and more precise protection. However, if the user denies the upload and use of data, based on the limitation of data sample analysis, it may weaken security and protection to a certain extent as well as increase the possibility of false positive. Hillstone disclaims any liability or compensation in this scenario. EXCEPT AS SPECIFIED IN THIS WARRANTY SECTION, ALL EXPRESS OR IMPLIED CONDITIONS, REPRESENTATIONS, AND WARRANTIES INCLUDING, WITHOUT LIMITATION, ANY IMPLIED WARRANTY OR CONDITION OF MERCHANTABILITY, FITNESS FOR A PARTICULAR PURPOSE, NON-INFRINGEMENT, SATISFACTORY QUALITY, NON-INTERFERENCE, ACCURACY OF INFORMATIONAL CONTENT, OR ARISING FROM A COURSE OF DEALING, LAW, USAGE, OR TRADE PRACTICE, ARE HEREBY EXCLUDED TO THE EXTENT ALLOWED BY APPLICABLE LAW AND ARE EXPRESSLY DISCLAIMED BY HILLSTONE, ITS SUPPLIERS AND LICENSORS. TO THE EXTENT THAT ANY OF THE SAME CANNOT BE EXCLUDED, SUCH IMPLIED CONDITION, REPRESENTATION AND/OR WARRANTY IS LIMITED IN DURATION TO THE EXPRESS WARRANTY PERIOD REFERRED TO IN THE "LIMITED WARRANTY" SECTION ABOVE. BECAUSE SOME STATES OR JURISDICTIONS DO NOT ALLOW LIMITATIONS ON HOW LONG AN IMPLIED WARRANTY LASTS, THE ABOVE LIMITATION MAY NOT APPLY IN SUCH STATES. THIS WARRANTY GIVES CUSTOMER SPECIFIC LEGAL RIGHTS, AND CUSTOMER MAY ALSO HAVE OTHER RIGHTS WHICH VARY FROM JURISDICTION TO JURISDICTION. This disclaimer and exclusion shall apply even if the express warranty set forth above fails of its essential purpose. NOTWITHSTANDING ANYTHING IN THIS AGREEMENT TO THE CONTRARY, TO THE EXTENT NOT PROHIBITED BY LAW, IN NO EVENT SHALL HILLSTONE BE LIABLE FOR PERSONAL INJURY, OR ANY INCIDENTAL, SPECIAL, INDIRECT OR CONSEQUENTIAL DAMAGES WHATSOEVER, INCLUDING, WITHOUT LIMITATION, DAMAGES FOR LOSS OF PROFITS, LOSS OF DATA, BUSINESS INTERRUPTION OR ANY OTHER COMMERCIAL DAMAGES OR LOSSES, ARISING OUT OF OR RELATED TO YOUR USE OR INABILITY TO USE THE SOFTWARE OR HARDWARE, ANY WARRANTY OR ARISING OUT OF ANY BREACH OF WARRANTY, HOWEVER CAUSED, REGARDLESS OF THE THEORY OF LIABILITY (CONTRACT, TORT OR OTHERWISE) AND EVEN IF HILLSTONE HAS BEEN ADVISED OF THE POSSIBILITY OF SUCH DAMAGES. HILLSTONE’S LIABILITY SHALL IN ANY EVENT AND UNDER ANY THEORY OF RECOVERY BE LIMITED TO THE TOTAL AMOUNT RECEIVED BY HILLSTONE UNDER THIS AGREEMENT OR QUOTATION DURING THE PRECEDING THREE (3) MONTHS PERIOD. THE SOLE REMEDY FOR A BREACH OF ANY APPLICABLE LIMITED WARRANTY SET FORTH IN THIS EULA IS, AT THE OPTION OF HILLSTONE, REPAIR OR REPLACEMENT OF THE DEFECTIVE OR NON-CONFORMING HARDWARE OR SOFTWARE. TO THE EXTENT NOT PROHIBITED BY LAW, IN NO EVENT SHALL HILLSTONE BE LIABLE FOR PERSONAL INJURY. THE FOREGOING IS CUSTOMER’S SOLE AND EXCLUSIVE REMEDY AND STATES HILLSTONE’S ENTIRE LIABILITY. This Agreement shall be governed by and interpreted exclusively in accordance with the internal laws of the State of California, U.S.A., without reference to conflict of laws principles or international law, including, without limitation, the United Nations Convention on Contracts for the International Sale of Goods, as revised, or to the Uniform Computer Information Transactions Act, as adopted in any jurisdiction, and to the maximum extent permitted under applicable law, Customer expressly waives any rights to the application of any other law or regulation on the effect thereof. Sole and exclusive venue for any disputes will be in San Diego County, California. The parties hereby irrevocably waive any objection to the jurisdiction of such courts based on any ground, including, without limitation, improper venue or forum non conveniens. The prevailing party shall be entitled to recover from the other party its costs and fees, including reasonable attorneys’ fees and fees of other professionals, associated with such litigation. CUSTOMER HAS READ AND AGREES TO BE BOUND BY THE ABOVE TERMS AND CONDITIONS.